Fruit and vegetables are part of a healthy, balanced diet and can help you stay healthy. It's important that you eat enough of them. Evidence shows there are significant health benefits to getting at least 5 portions of a variety of fruit and vegetables every day. That's 5 portions of fruit and veg in total, not 5 portions of each. A portion of fruit or vegetables is 80g. The 5 A Day campaign is based on advice from the World Health Organization (WHO), which recommends eating a minimum of 400g of fruit and vegetables a day to lower the risk of serious health problems, such as heart disease, stroke and some types of cancer. They're an excellent source of dietary fibre, which can help to maintain a healthy gut and prevent constipation and other digestion problems. A diet high in fibre can also reduce your risk of bowel cancer. They can help to reduce your risk of heart disease, stroke and some types of cancer. To get the most out of your 5 A Day, your 5 portions should include a variety of fruit and vegetables. This is because different fruits and vegetables contain different combinations of fibre, vitamins, minerals and other nutrients. Almost all fruit and vegetables count towards your 5 A Day. They can be fresh, frozen, canned, dried or juiced. Potatoes, yams and cassava don't count because they mainly contribute starch to the diet. Read more about why potatoes don't count towards your 5 a day. 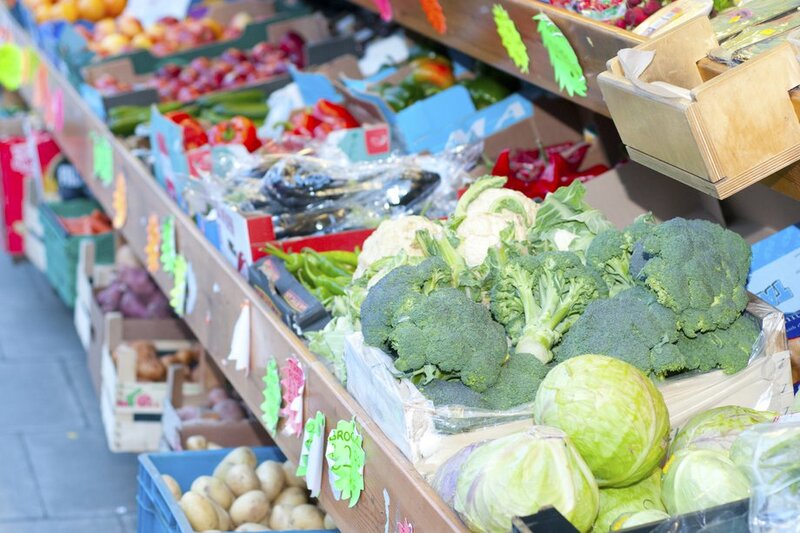 For ways to get cheaper fruit and veg, see 5 A Day on a budget. If you have a query about 5 A Day that isn't answered in our 5 A Day FAQs, please email the 5 A Day team at Public Health England: phe.enquiries@phe.gov.uk.